I must apologise as I’ve been totally shoddy with the gender reveal for this baby! I’m 25 weeks tomorrow so we’ve known for a while whether we’re having a boy or a girl this time around. I’ve actually had three separate sonographers predict the gender of this baby. 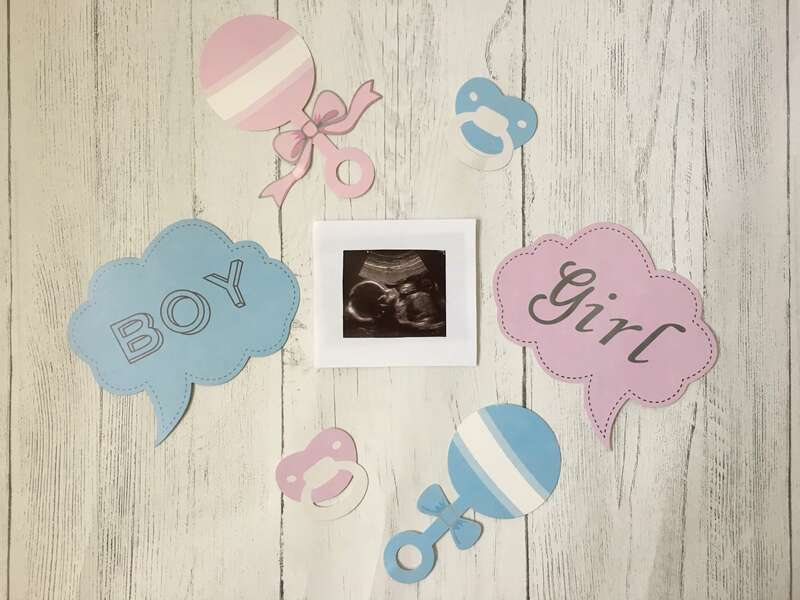 Firstly, when I had my pointless kidney scan, the sonographer had an informal look at the baby and we played ‘guess the gender’! Then we were told at my 20 week scan and again at 23 weeks, as I had to have a second anomaly scan as the sonographer was unable to get a good look at baby’s face and head at 20 weeks. All three sonographers agreed on the same gender without us saying anything. Therefore, I’m pretty confident that we know the gender of this baby! I’m not really a vlogger (that’s an exaggeration; I’m not a vlogger at all!) but I wanted to pay homage to the gender reveal that I did for Little M almost two years ago and do a little video. It’s not the height of cinematic glory, but I think it’s pretty cute. And it does the job. By the end, you’ll know whether we’re expecting a boy or a girl. It’s only 24 seconds long, so you won’t have to wait in suspense for too long! I remember when I was pregnant with Little M, I was convinced that I was expecting a boy. So much so, that I was in a bit of a state of shock for a while after the sonographer informed me that she was, well, a she! It took a while to adjust my mindset and imagine having a daughter. This time, though. my feelings were spot on, so there were no surprises in the scan room! Earlier, I shared my 12 week and 23 week scans in a lovely mummy group that I’m part of and asked them to guess the gender. Apparently, according to nub theory, baby number two is looking like a boy. Shall we see if they’re right? We honestly have no clue at this stage what we’re going to call this one! We love M’s name so much, we can’t think of anything to do this baby justice! !